Rev. Jason graduated from Colquitt County High School in 1997 and later earned a degree in General Studies from Brewton Parker College. 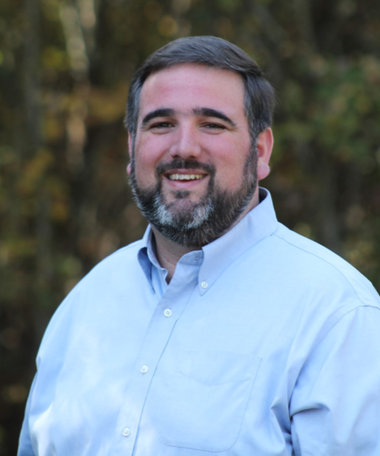 He graduated in May 2014 from Co- lumbia Theological Seminary in Decatur, Georgia with his Masters of Divinity. While at Columbia he was the recipient of the Columbia Friendship Circle Scholarship and Indiantown Country Church Award. He and his wife, Anne, of 14 years have 4 sons. He enjoys spending time with family, playing golf, hunting and fishing. I believe in the one true and living God who is revealed in the Bible, and who exists eternally in three persons: Father, Son, and Holy Spirit. These three persons are the same in substance and equal in power and glory. God is the only source of all life, glory, goodness, and blessedness; therefore God alone is to be praised and worshipped. In the beginning, God created the world and all things in it out of nothing and is completely sover- eign over all creation. God created human beings in God’s own image, with knowledge, righteous- ness, and law in their hearts to know, love, and obey God, and to be stewards of creation. Although everything that God created was good, human beings were disobedient to God’s commands resulting in a broken relationship with their Creator. Corruption of the human nature and the entrance of sin, evil and death entered into creation and no human effort can resolve or redeem this defect. All hu- man beings are separated from God and are consequently subject to God’s holy judgment, but God is both loving and forgiving, and God demonstrates both through his only son, Jesus Christ. Jesus Christ was both fully God and fully human, Jesus was conceived by the Holy Spirit and was born of a virgin, Mary. He lived a sinless life and was unjustly crucified on the cross. On the cross, Jesus bore the sin of all humanity and experienced the wrath of God that we deserved. By his death on the cross Jesus atoned for the sins of the world. Salvation is granted as a gift of God’s grace alone to everyone who has faith in Christ. All who believe in Christ alone are justified, reconciled to God and have eternal life with him. After three days, he rose bodily from the dead and ascended into heaven and is seated at the right hand of God where he continues his saving work, and functioning as our eternal prophet, priest and king. Jesus promised he would not leave us alone, but that he would send an advocate, the Holy Spirit. The Holy Spirit inspired men and women of old to speak and the Holy Spirit continues today moving and working through God’s people. Through the Holy Spirit we are filled with the desire to seek God and through the Holy Spirit we are called into a relationship with God the Father and God the Son. Through the Holy Spirit we are sent into the world as witnesses to the gospel of Jesus Christ. The Scripture of the Old and New Testament are God breathed and alone constitutes God’s written word. Scripture is fully dependable in everything that it teaches and Scripture alone is an absolute rule for both faith and life. When and wherever the scriptures are read and proclaimed Christ is pre- sent through the witness of the Holy Spirit. The church is the body of Christ, which is made up of believers who have been called into the world to faith and discipleship in Christ. The church is distinguished by its faithful proclamation of God’s word, the faithful administration of the sacraments, a commitment to church discipline and its mis- sion to share the good news with all of creation the message of salvation by God’s grace through faith in Jesus Christ. I believe baptism and the Lord’s Supper are two sacraments given to the church through Christ and by Christ’s example. There is one baptism, whether received as an infant or adult, showing that we have been chosen by God and sealed as one of God’s own forever. It does not guarantee salvation, but is a covenant between God and believers. Christ also established Communion for us to partake of him spiritually. This holy act is to help us remember Christ’s death, burial and resurrection until he comes again. When Christ returns on that last day, when the final act of redemption is completed, the cho- sen people of God will receive mercy and be declared righteous, not by their works, but by Christ’s righteousness and grace. Death, the last enemy, will finally be defeated and the people of God will worship God in the new heaven and new earth and they will enjoy God forever. Barbara is a graduate of Southern Illinois University with a BA in Choral/Vocal Music. In addition she earned a Masters in Music Education at the University of Wisconsin. Ms Knapstein began directing church and community choirs in 1975, serving as director in several denominations and communities throughout Wisconsin. Barbara is retired after 27 years teaching music in both public and private schools in Illinois and Wisconsin. At DCC Barbara directs the Chancel Choir & Handbell Choir and participates in the Praise Band. She also is a member of the University of Southern Mississippi Gulf Coast Chorale as well as volunteer in philanthropic organizations in Diamondhead. Renee McClendon accomplished her Bachelor of Fine Arts and Master of Music degrees from the University of South Dakota (1978, 1982). 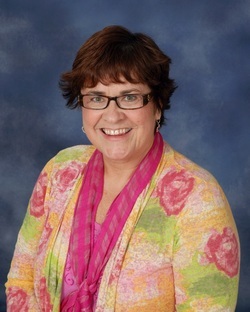 She taught vocal music, then facilitated the talented and gifted program at Akron-Westfield School in Akron, Iowa, for 25 years. Renee began playing the organ at 1st Presbyterian Church in Avon, South Dakota, when she was in the 6th grade. Subsequently, she served the Congregational Church in Westfield, Iowa; Wesley Methodist and TrinityLutheranChurches in Akron, Iowa; St. John’s Lutheran Church in Craig, Iowa; and Our Redeemer Lutheran Church in Sioux Falls, South Dakota. Renee’s favorite experiences include leading a group of fellow Avon High School students who conducted worship services at area nursing homes, directing the Wesley Methodist “Praise Singers”—a middle school-aged choir which toured, serving as chairperson for the Community Christmas Service Council in Akron, Iowa, and directing contemporary services at Trinity Lutheran Church in Akron, Iowa.